This Amazing Floor Plan w/ it's Southern View of Downtown will take your breath away! Upgraded to the hilt! This comes w / 3 Assigned Parking Spots right next to it's Large 9x6 Storage Space! 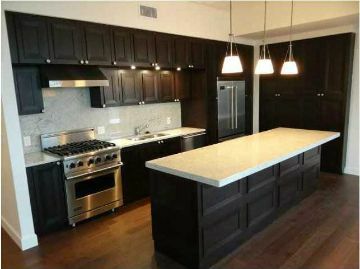 Finishes in this unit are Exquisite & Radiate Class w/ Viking Professional Appliances, Gas Range, Fridge, Dishwasher, & Microwave. Two Master Suites w/ MASSIVE Built-In Closets offering an abundant amount of space , storage, & craftmanship. Two Large Balconys off of each bedroom! Designer/Spa Style Bathrooms w/ Elegant tilework / countertops, w/ HUGE Walk-In Showers. A MODEL SUITE!